We are seeking the views of members in order to evaluate our work and plan the coming year's priorities. Comments will remain anonymous. Your input is really valuable as it will help us to find out what we are doing well and identify the areas that we can improve on as an organisation. Your data will be stored until we have completed our annual evaluation work. We anticipate that this will be in August 2017. Are the mental health crisis teams in crisis? Joy Hibbins, who runs a Suicide Crisis Centre primarily set up to support people who do not access other services, reveals that, lately, a lot of of callers who use the traditional mental health system have been contacting her organisation instead of the mental health crisis teams...which take too long to get back to people - if at all. Our Members' Manifesto 2017 'Our voice, our vision, our values' draws on feedback from our AGM and members' event (June 2016), priority issues identified by members in our annual survey (2015) and responses from members to a direct request asking what should be in NSUN’s manifesto. In an open letter which can be signed as a petition, Dolly Sen calls upon the Health and Social Professional Council and the Nursing & Midwifery Council to withdraw support for the WCA assessments on the grounds of ethics. 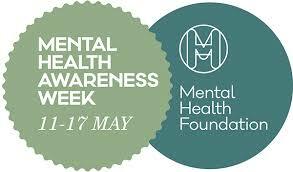 This Mental Health Awareness Week, 8-14 May 2017, the Mental Health Foundation propose to 'look at mental health from a new angle. Rather than ask why so many people are living with mental health problems, the Foundation will seek to uncover why too few of us are thriving with good mental health'. In order to spread the word, we can all sign up to a thunderclap - hopefully ensuring that #MHAW17 is trending online. It's like an online Flashmob, which will help raise awareness of mental health! 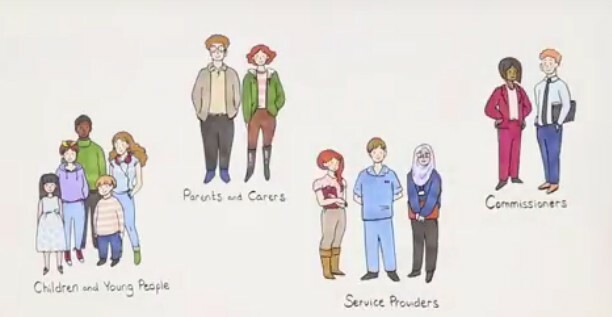 NHS England have developed a short animation on the work we are doing to improve services for children and young people with mental health problems. This is a step in a bid to eliminate out of area placements for children and young people in mental health crisis. Last minute places available on evening and weekend programme starting on April 29th! Talk for Health still have a handful of free spaces for Islington and Camden residents. This is a really great opportunity to attend our programme for people with nine to five jobs. The offer page offers more information about the programme and the days / times of attendance. Join Talk for Health for an evening of discussion during Mental Health Awareness Week: this is a free for all event, so do bring friends and family. Join in for the first ever International EmergingProud day of connection and innovation happening simultaneously in 8 or possibly 10! countries around the world. Be part of catalyzing discussions about ‘Rethinking madness’;Exploring The Wisdom Of Falling Apart: from Stigma to Transformation. 'They heard voices' is a documentary which looks at the schizophrenia label and the Hearing Voices movement. An “illness” with no "cure", the label schizophrenia has persisted for over a century. This film offers multiple perspectives. Is schizophrenia hard science? Or an arbitrary, catch-all term with no real meaning? 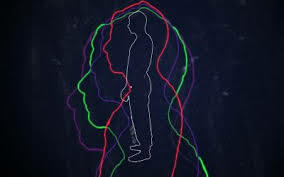 The film presents a series of wide-ranging interviews with voice hearers, medical historians, anthropologists and psychiatrists from Britain and America, presenting different people's views side-by-side. The result is a tapestry of contrasting colours. The movie trailer is here. 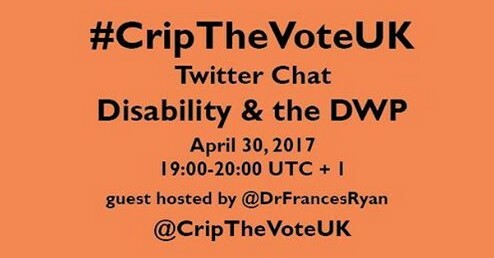 The purpose of this online discussion is to activate and engage Britain's disabled community on policies and practices important to the disability community as well as to raise awareness of disability rights issues during the upcoming general election. If you're on Twitter, you can join in this conversation on Sunday 30 April at 7pm. The journalist would like to interview people who have received ECT treatment during the past 5 years, who would be willing to share their story in a 20 minutes phone interview...and who would consent to their photo being published. 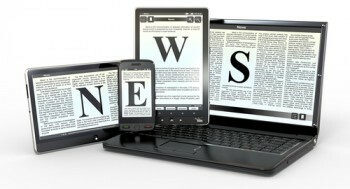 Royals continue making the news with the Guardian saying they do more for mental health than the government and highlighting Prince Harry showing how NHS psychiatric services could move on. The Independent report that some mental health charities have seen a surge in calls since Prince Harry opened up. Celebrity-centric mental health policy leaves behind most afflicted. Comment by DJ Jaffe is author of "Insane Consequences: How the Mental Health Industry Fails the Mentally Ill" and Executive Director of Mental Illness Policy Org. A gay mental health campaigner runs the London marathon with the man who saved him from suicide. Weeping alone in psychiatric hospital showed me UK's mental health crisis says Rachael Bletchly in the Mirror. ‘What people need is support and understanding’ - Sister of mental health patient speaks out over the care he received before his death. This consultation has closed. You can read a summary of responses and next steps here.